If you’re thinking of selling your home, you may be calculating the profit you’ll get from your home sale or you may be determining exactly how much you’ll need to pay off your current mortgage. You are also possibly thinking about having enough left over for a down payment on your next home purchase. You need to realize that, while you can estimate the value of your home in a variety of ways, the true value is only what a buyer will pay for it. That said, there are several ways to get a strong idea of how much a buyer will pay for the property in current market conditions. Property tax assessment. Each jurisdiction uses a formula to establish home values for a tax assessment, but this price rarely correlates with the market value of your home. Your tax assessment can be higher or lower than the current market value. Mortgage balance. 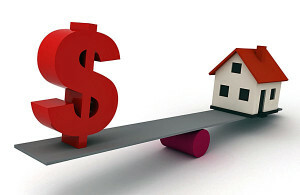 Your mortgage balance simply reflects your home loan. The difference between your loan payoff and the market value of your home is your equity. Neighbor’s home value. Even if your neighbor’s home is similar to yours, it’s not likely to be identical. I can assist you in evaluating your home’s worth in the context of other nearby properties. Desired value. You can always try to put your home on the market for your desired price, but if you over or under price it, you will be shortchanging yourself. I can do a comparative market analysis with recent market data to help you estimate your home value. 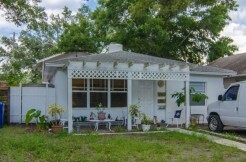 When you sell your home, an appraisal will be required by the buyers’ lender, so keep in mind that your home has to appraise for the selling price or, depending on how your contract is written, you will have to renegotiate the sale or the buyers will need to come up with extra cash to bring to the closing table. A CMA is both an art and a science. While it’s based on data, it also requires local market knowledge and intuition about which homes to compare and how to interpret the prices. I will look for recent sales of homes that are similar to yours, preferably within the past two or three months, up to about six months. In addition, I can look at other homes currently on the market and homes that didn’t sell, that were taken off the market to compare values. The comparison of your home with others should include not only the size and the number of bedrooms and baths, but also the condition of your home, the neighborhood and the proximity to amenities. While it may be tempting to list your home with someone who tells you it can sell at the highest price, a smarter way to sell your home is to price it as accurately as possible from the beginning. Studies show that an overpriced home that lingers on the market will end up selling for less than the estimated correct price. Call or e-mail me TODAY so I can do a Free Market Analysis or CMA!